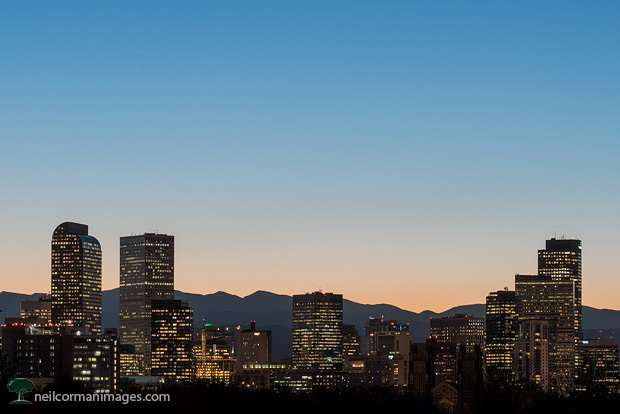 There is a difference is photographing the Denver skyline this time of year on a weekend versus a weekday, the lights in the buildings. I photographed this scene the day prior, which was a Sunday, and there were minimal lights in the buildings. With sunset prior to 5pm this time of year it would make sense there would be much more lighting in the buildings and is a gentle reminder that when photographing skylines to consider a weekday rather than a weekend.